The West End is famous for its funky vibe, meaning you will feel right at home in this 2 bedroom, 1 bathroom apartment which has undergone an edgy renovation. Perfectly positioned on the ground floor of a solidly built apartment block, it boasts beautiful terrazzo floors and industrial accents including concrete benches and floors to the kitchen and a bespoke barn door. There's also a five-burner gas stove and dishwasher, air-conditioning and ceiling fans, lock-up car space along with a dramatic jet-black bathroom which includes laundry facilities. 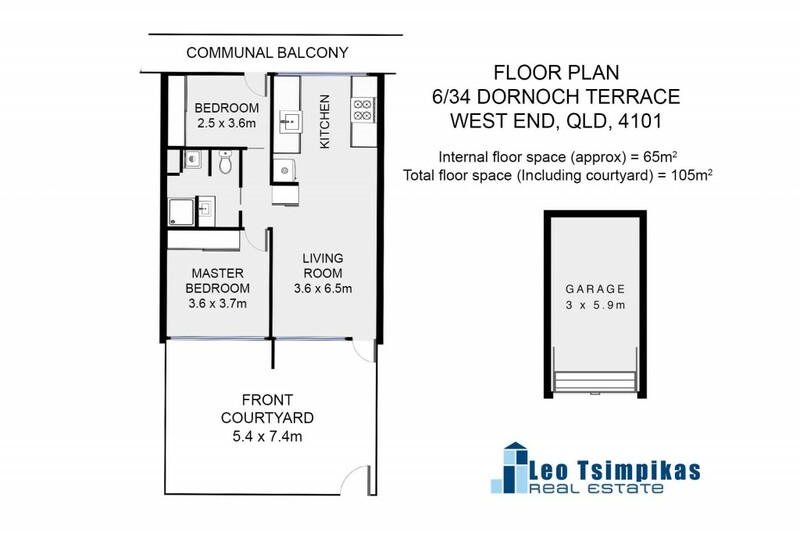 An oversized and private courtyard will also give you extra space to enjoy and soak up the sense of community spirit this block of 30 apartments (home to numerous long-time tenants and owner occupiers) offers. Located within reach of an abundance of public transport, there's a bus stop at your door, and the City Cat/Ferry close by. You are also nestled in the Brisbane State High Catchment, West End State school catchment and central to elite private schools, UQ, QUT, Griffith, Southbank TAFE and private city colleges. Why not also take advantage of being able to walk to the West End's restaurants and coffee precinct? With dual street access and every facility you could want for within reach, this promises to be perfect for those seeking an astute investment (renting at $440pw) or who desire a low maintenance, inner-city life, in a character filled apartment. Now is your time to act!